It’s important take care of your skin when you have psoriatic arthritis. You also need to do all you can to be kind to those sore joints. The first step: See a doctor. A rheumatologist can help. She'll help you set up a plan. Stick to it. Use your medications. You can also do a lot of things at home to keep your skin and joints as healthy as possible. Moisturize. Use a good moisturizer, and plenty of it. Dry skin can itch more, says Jennifer Murase, MD, a dermatologist in Mountain View, CA. Itchiness can lead to scratching, skin damage, more psoriasis symptoms, and maybe infections. “It’s important to keep it moist for that reason,” Murase says. It’s best to moisturize right after you shower. Which product you choose is key, she says. Look for ones that aren’t likely to cause an allergic reaction or otherwise irritate your skin. Heavily scented moisturizers can do that. “And you want to make sure the pH is as close to water as possible,” Murase says. Smooth it out. 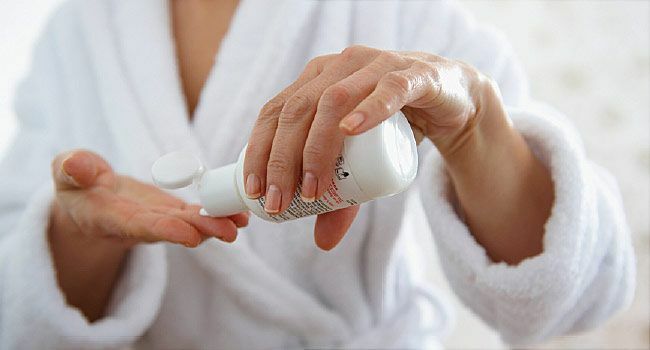 Over-the-counter lotions and creams that you put on your psoriasis can really reduce scaling. Some ingredients, such as salicylic acid and tar, can irritate skin. Check with your doctor to see which products are best for you. See the light. Ultraviolet B light (UVB) is a good way to battle psoriasis. It gets past the skin and into the affected cells, slowing their growth. Your doctor may prescribe light therapy, also known as phototherapy. Your skin gets treated with a UVB light in sessions that range from seconds to as long as 5 minutes or so. You usually get the treatments at a doctor’s office, but they can be done at home, too. You’ll have to stick to them to get their full benefit. If you can’t do light therapy, natural sunlight also works. “[Get] 15 to 30 minutes of natural sunlight a day,” Murase says, especially for those not close to a dermatologist. This tends to help a lot of people with psoriasis, she says. Make sure to use sunscreen on areas not affected by your skin condition. Watch the soap. Some of them have lots of fragrance and dye. That can do more harm than good to your skin. Don't use harsh soaps that dry out your skin. Whichever ones you choose, make sure they have some moisturizer in them, too. You don't always need to lather your entire body every time you bathe. Avoid injury. Sometimes a simple injection or scrape can set off a flare. So watch nicks, small cuts, and chafing. Be careful with your nails, too. Psoriasis there is hard to control. If you pick at that hanging cuticle around the nail, you’re asking for trouble, because psoriasis will be more likely to form there. Psoriatic arthritis is different from other types of arthritis because it’s inflammatory. At-home treatments and over-the-counter anti-inflammatory meds can help, “but much of the time, or most of the time, that’s not [enough], and you need to see a physician and get it treated properly,” says Chicago rheumatologist Eric Ruderman, MD. So see your doctor and come up with a plan. If you have a lot of pain in your joints, and it keeps coming back, he may need to find you another treatment. If your plan seems to be working, though, you can do things to make it even more effective. Keep moving. “Staying active is important. And I think that’s true with almost any kind of arthritis, whether it’s inflammatory or not,” Ruderman says. A good way to keep moving without stressing sore joints is water exercises. Walking, running, and swimming in the pool all can help strengthen muscles around ailing joints. Some medicines don’t work as well for overweight people, Ruderman says. That’s another reason to shed some pounds. But, again, if it’s arthritis in your hands that’s bugging you, tell your doctor. Be calm and carry on. Research links stress with flare-ups. So exercise, talk to a counselor, visit with loved ones -- whatever healthy habits help you unwind. Let your doctor know if your psoriatic arthritis continues to flare. Getting it treated is "really the way to go,” Ruderman says. Jennifer Murase, MD, dermatologist, Sutter Health Palo Alto Medical Foundation, Mountain View, CA. Eric Ruderman, MD, rheumatologist, Northwestern Medical Group, Northwestern University Feinberg School of Medicine, Chicago. American Osteopathic College of Dermatology: "Psoriasis."